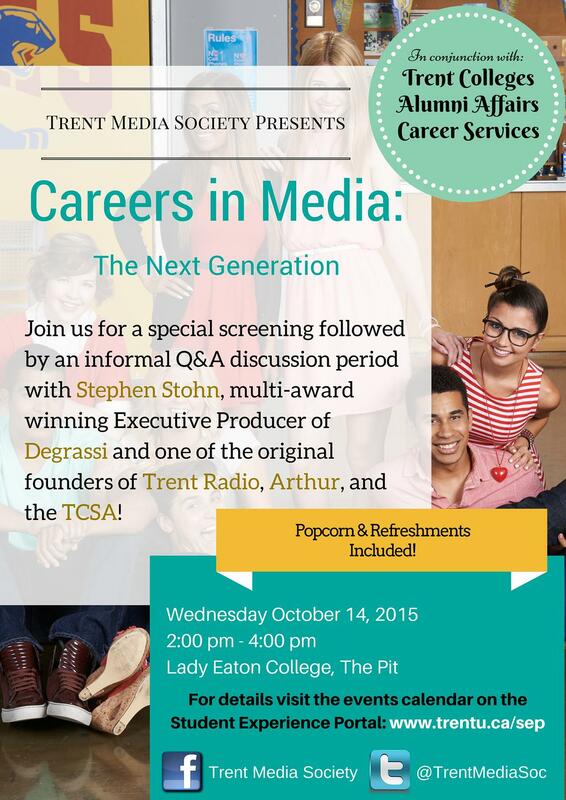 [10/7/15] The Executive Producer of Degrassi will host a Q&A during the event, Careers In Media: The Next Generation, on Wednesday, October 14th at Trent University’s Lady Eaton College. The event is presented by Trent University’s Media Society. As previously reported, Stohn, a Trent alumnus, has been named an alumni-in-residence this fall.